The Leupold Acadia series binoculars have a clear and sharp image improved by Phase coated prisms. The roof prism design makes them lightweight whilst centre focusing makes them quick to focus. 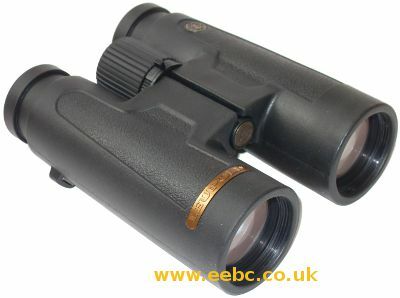 Twist up/twist down eyecups are provided to enable full field of vision when used with or without spectacles. The Leupold Acadia binoculars are fully waterproof, rubber armoured and feature close focusing to 2.5m (9 feet). Supplied with case, strap and a limited lifetime guarantee. The numbers for the Arcadia, e.g. view angle at 7.5° min focus 2.5mtr, and eye 19mm relief are slightly better than the Cascades. What is it that justifies the Cascades being £100 more expensive. Could I have you opinion comparing these two please. 04/11/2013 10:02:57 Both the Acadia and Cascades are excellent binoculars in their price ranges. In all honesty, there is not that much to choose between the two, and usually comes down to how much use they are going to get. The Cascades are better, the image is brighter and sharper than the Acadia, the colour transmission is also very slightly better. If I were going to be using them a lot, I would go for the more expensive model. When people come and have a look through both models, it nearly always comes down to how much they will be using them. Most people like both models physically; they are easy to use and feel good in that hand, the twist up/down eyecups work very well and the focusing is precise on both models. I hope this helps, but I have probably raised more questions than answers!